Festival – Orders – Issued. 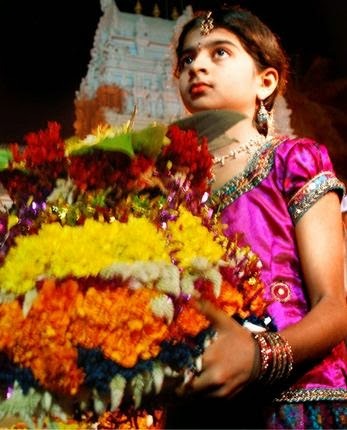 Bathukamma Panduga” is an important festival, which is celebrated across the Telangana State. It is also an important cultural event of Telangana State, wherein large number of people, particularly women, participate with devotional fervour. Therefore, it is decided to declare the “Bathukamma Panduga”, as State Festival duly providing assistance from different Government Departments and agencies for celebrating the festival. Accordingly, Government, hereby declare “Bathukamma Panduga” as a Telangana State Festival and direct the Department of Culture to take necessary action to celebrate the festival in a befitting manner.